Whether you'll be sailing the High Seas or taking a trip to Treasure Island, you'll be one cute corsair in this costume! 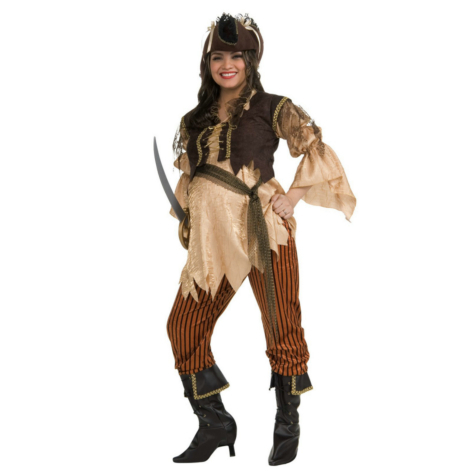 The Mommy To Be Pirate Queen Adult costume includes a pirate shirt with tattered edges, attached vest and sash. 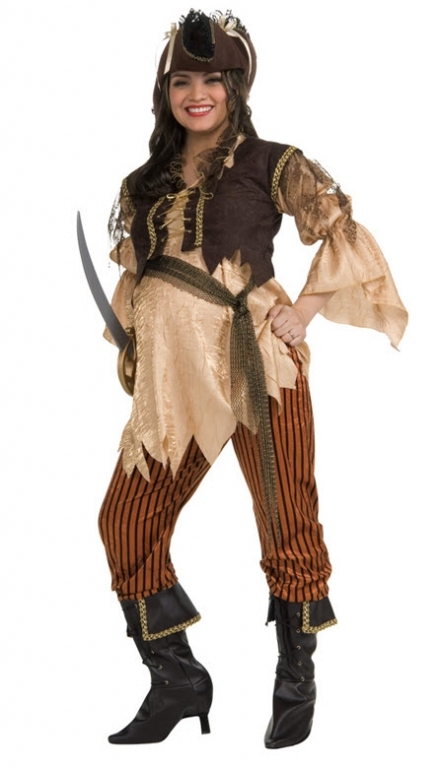 Maternity pants with attached boot tops and a pirate hat are also included to complete this comfy costume! No matter which trimester you're in, the Mommy to Be costumes are designed to flatter your developing figure. 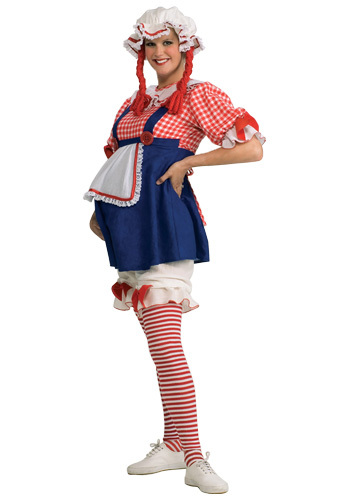 Costumes have ties to accommodate your changing bust line and a Lycra panel, along with a slight flare in the costume help to make the hips & belly adjustable to the little one growing inside. Includes: Shirt/vest, sash, hat and pants. Does not include boots, sword or jewelry. Check out the rest of our selection of marvelous Maternity costumes to find the perfect look for you! Don't forget about Daddy to be, pair with a pirate for a couples costume you'll both treasure. Availability Standard (One-Size) (150491) Orders placed by 4 PM CDT usually ship same day. Care Instructions Hand Wash Cold Water, No Bleach, Line Dry.